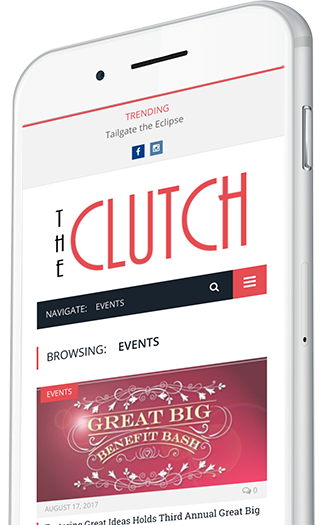 The Clutch is a digital news publication who’s goal is to provide timely information and buzz-worthy events regarding business, fashion, events and everything in between right to your inbox via their newsletter and social media feeds. SimpleLogic was approached by a group of representatives in Greenville, SC who were looking for a local, community based digital publication for news and event information. The market already had multiple digital and print news and event publications, but with one primary weakness- they spoke at their readers versus listening to their readers. Our recommendation was to make the publication a community generated resource using contributors who were respected in their industries. The promotion of the site would be a weekly newsletter that both recapped the previous week’s content and introduced the coming week. 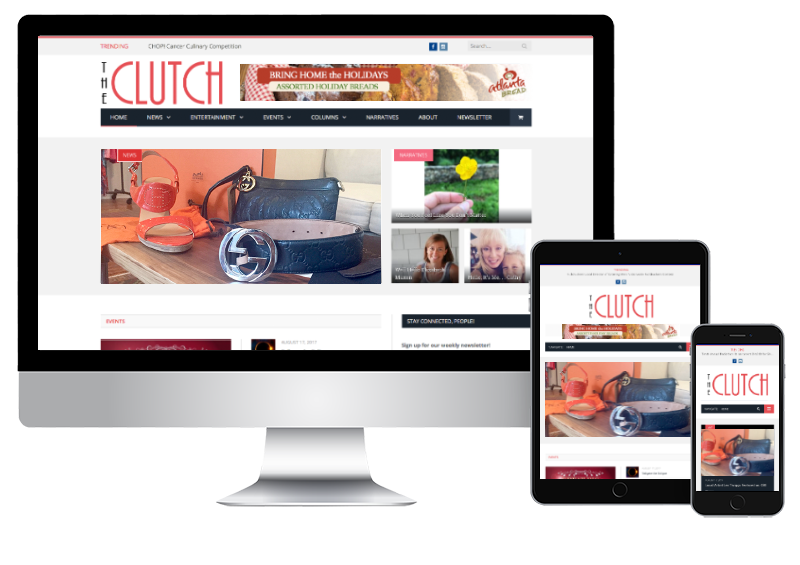 The Clutch website was developed in a responsive design to automatically detect the size of the users screen to correctly size the main navigation, images and content any device. An Events Calendar system was also integrated which offers organizers the ability to post future events in a calendar for participants to view and important into their own calendars. 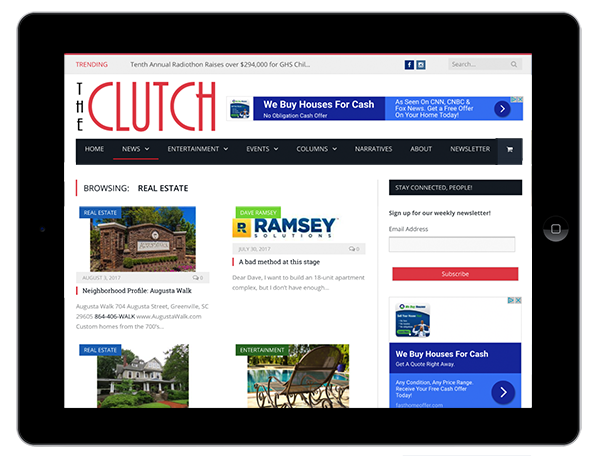 Contributors who write for the Clutch’s weekly newsletter have their articles automatically added to the website. The back-end of the newsletter provides metrics on which articles receive the most buzz has the most impact in social media channels. The result of this collaborative effort was The CLUTCH, which went live on January 1st, 2017. By the 3rd month the site had over 40 contributors and had grown to over 360,000 monthly page views, with the average visitor viewing 9 pages per visit.